Bed bug covers are one of the best ways for you to protect yourself from bed bugs. Bed bugs are invading the United States, specifically in urban areas, and the level of intensity continues to grow by leaps and bounds. If you do not take steps to protect yourself when you travel on airplanes and buses, or sit in theatres, chances are good you are going to not only be bitten by these bugs, but you'll also likely bring them home with you! 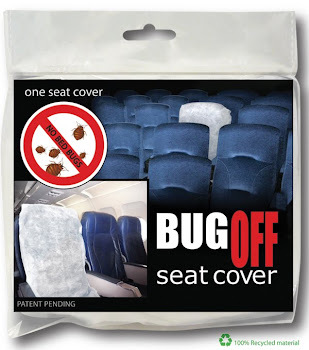 Bug Off Seat Covers are one of the most effective ways to protect yourself while traveling or in public areas. Do you know that bed bugs can easily latch onto you when you are traveling and you could end up bringing them home with you? This is one of the biggest risks you will face on the plane. Here are some tips to help you to get help. Bed Bugs seat covers can help you in an easy way. The first thing to do is to know how to check your seat before you sit down. Take the time to check the material for bedbugs. Specifically look on the seat, in the edges and against the lips. You want to ensure that you look under the armrests. In most cases, these bugs are going to get into the more hidden spaces of the cushions and seats, rather than in visible areas. Go further. Grab the edges of the seat and pull. In most cases, these seat bottoms are removable. The only way for you to do know if there are risk factors like bedbugs is to see the evidence of them. You will want to look at the underside of the cushion. Specifically look under and around the armrests, which is another area in which these bedbugs can hide. They like to hide in areas that are not noticeable, especially in dark areas. They can actually remain hidden and out of sight for weeks without dying, and it only takes one person to sit in the seat to trigger an attack from the bed bugs. Do not forget about the headrest. This is a great place for these critters to hide. They easily can crawl into the openings at the bottom of the headrest and remain protected from cleaning or visibility. You cannot see them, they are hiding and they will only come out when they know a blood meal (or you) sits down near enough to them. Pull off the headrest and look on the inside. If you find any evidence of them, it's time to make a move. Bed bug covers from Bug Off Seat Covers can help to reduce your risk. Because they place a layer of plastic between you and the bed bugs (as well as other germs), the creatures are unable to get to your skin, and thus cannot attack you. 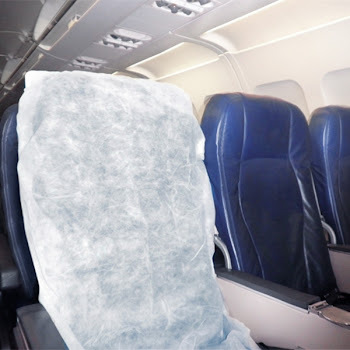 Bed bugs personal seat covers are a simple to use tool that protects you from the spread of bed bugs, even as they continue to spread quickly. 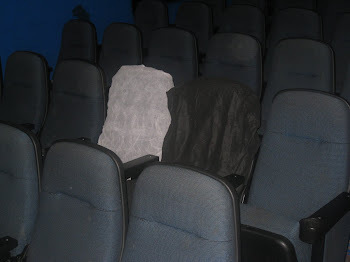 Bug Off Seat Covers are one of the most effective tools for this process of stopping bed bugs.